This object combines a table decoration with tableware. 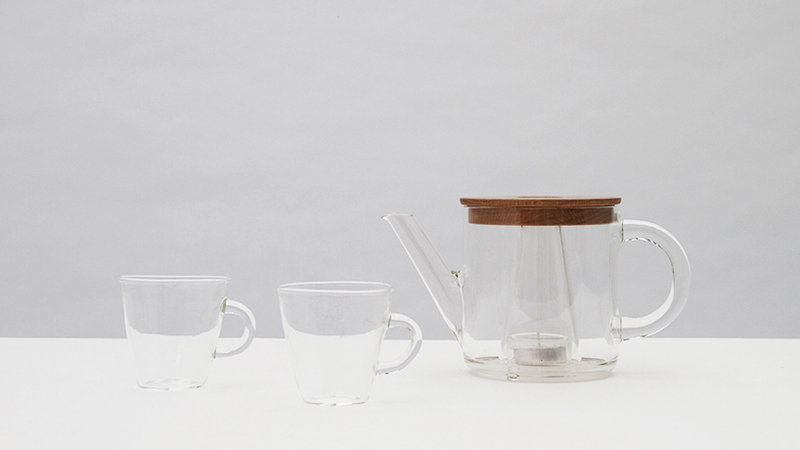 The main product is a teapot, which works as both a candleholder and a tea warmer during tea time. As it is known, the tea-candle was traditionally used to heat teapots. The light is used as an important element at the dining table, creating an intimate tone for gathering time. This product emphasises the original function of the tea-candle and the beauty of the flame interaction with the colour of tea.